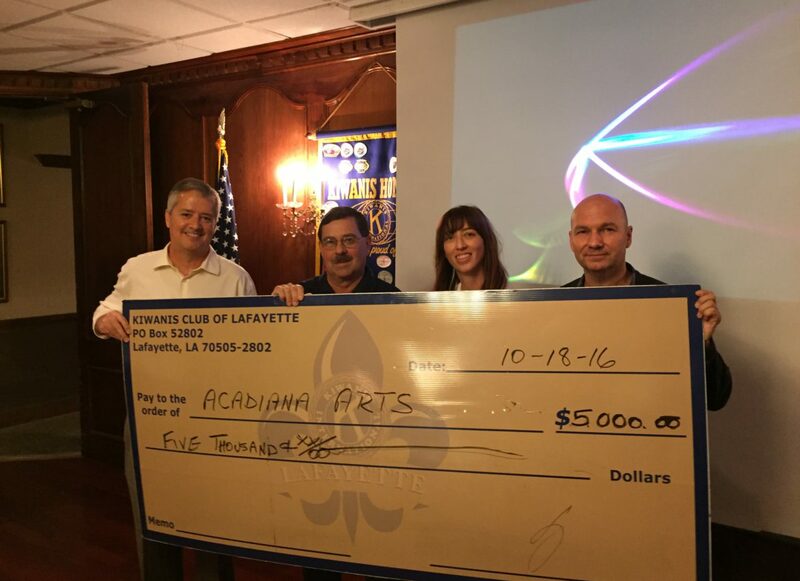 At today's meeting, Kiwanis of Lafayette presented the Acadiana Center for the Arts with a check in the amount of $5,000 toward the Silent Seats Project. Dr. Gerd Wuestemann, Executive Director and Paige Krause accepted the check on behalf of the ACA. From ACA/PASA's website: "Silent Seats is an ongoing outreach program that provides enrichment, education and entertainment opportunities for under privileged and underserved youth and individuals in the PASA service area who lack the economic means and awareness to independently access high quality performing arts events like those that PASA presents." To learn more about this project, click here.